The Cobra DSP 9200 BT, our most advanced detection system to date, is the company’s first digital detector, which substantially improves the detection range and performance of former models and embeds new and advanced technology for precise notifications through use of digital signal processing (DSP) to identify real alerts from unwanted noise for greater alert reliability and frequency. The DSP 9200 BT also includes a brand new Advanced Frequency Display Mode for determining exact frequencies of signals and alerting the user with an intuitive graphic display. With these technology upgrades, the DSP 9200 BT is easily the most powerful, accurate and affordable detector on the market. 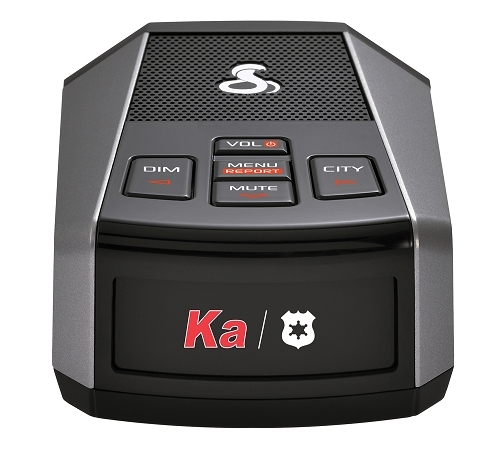 For additional protection, the DSP 9200BT connects to Cobra’s iRadar® Community via Bluetooth® technology. The Cobra iRadar App allows users to receive AURA® red light and speed camera and trap notifications, threat areas and verified user-reported alerts of upcoming live police locations and other real-time traffic threat information. Additionally, the iRadar app even offers basic navigation, a car finder and music control. Through advanced audio routing, users can run detection, navigation and music apps in concert, either to the car stereo or to a Bluetooth headset. Small size, big performance. The Cobra DSP 9200 BT gives you clear, complete protection for confident driving. Small Size. Big performance - Detects all radar, laser guns and cameras in the industry’s smallest footprint. Revolutionary Accuracy - Reduces the uncertainty and frustration of false alerts with Digital Signal Processing (DSP) technology, the next level of accurate radar detection. The Power of Community - Let the free Cobra iRadar® app and community based detection lead the way. iRadar gives real-time alerts to upcoming Speed & Red Light Cameras, Live Police Activity, Radar & Laser Guns and Caution Areas reported by other iRadar users. Stay One Step Ahead - Cobra’s powerful servers and complex algorithms take massive amounts of historical user data and distill it into a threat level for your vehicle. Just What You Want to Hear - A suite of several Cobra technologies help to further eliminate unwanted and false alerts. These include; SpeedMuteTM, Auto Mute Mode, QuietDriveTM, AutoCityTM, CAS Immunity and TFS Rejection.